N.A.S.H.A. has me trained. I get up early–4:30 a.m. early–and she kindly gets up with me so I don't have to go it alone. Before I start the coffee pot, I let her out for a few minutes, and then back in, and then I follow her straight to the dog pantry. She knows it's treat time. Typically she only gets that one treat each day, but sometimes when we have a particularly desirable treat in the rotation, she'll request more. At first I didn't realize what it meant when she gave me a dead leg. Was she just being a jokester? After repeated pokes, it became apparent that she was trying to communicate something. Had her water bowl gone dry? Nope. Did she want to play? Nope. As a True Science Ambassador, I am being compensated for trying and conveying my opinion about True Science products. Neither True Science or VetIQ is responsible for the content of this article. All opinions expressed are my own. As I'd head to the pantry, she'd bounce a bit to let me know I was getting warmer. And when I put my hand on the treat bag, she sat down and licked her chops, letting me know I'd figured it out. I'm blaming the VetIQ treats we have in the pantry right now for the recent dead-legs I've been getting. 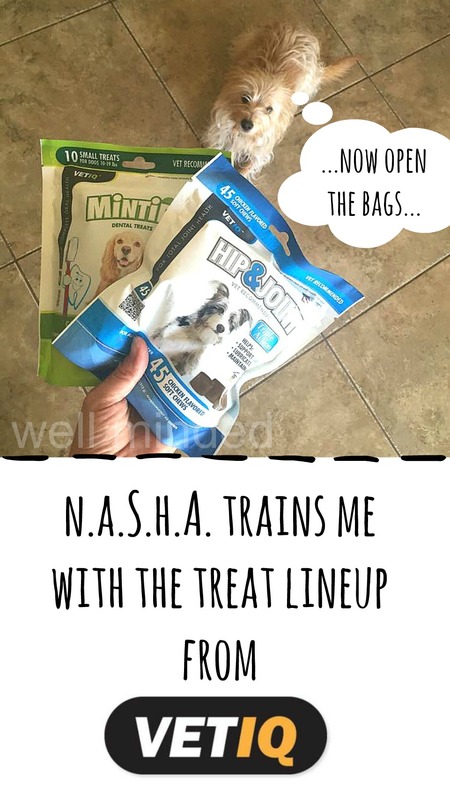 We've been trying Minties Dental Treats and Hip & Joint Soft Chews, which are more of a supplement than a treat, much to N.A.S.H.A. 's disappointment...she can only have a small amount. Both are vet recommended and made in the U.S.A.
what is VetIQ all about? VetIQ provides quality medication and supplements for your pet at prices you can afford. We desire to provide the best information possible so that you can make informed decisions for your pet. I'm all about making informed decisions, especially when it comes to my family's health and the health of our pets. Each VetIQ product is given it's own web site, which is interesting to me. It may seem like overkill, but to those of us who like to be informed, these platforms offer all the facts we need to make good choices. N.A.S.H.A. loves chewy treats, so I figured the Hip & Joint supplements would be a sure thing, and I was right. She loves them. Too bad she only gets half a treat every other day, so says the package, because she'd love a lot more. The supplements help support joint cartilage, help lubricate joints, and help maintain muscle–all important as our dogs age–with glucosamine, creatine, and omega 3s. "Okay...I'm sitting. Kindly hand over the Hip & Joint." Check out the VetIQ Hip & Joint web site for more information. I figured the Minties dental treats would be a tougher sell, but I was wrong. She loves the Minties, too. 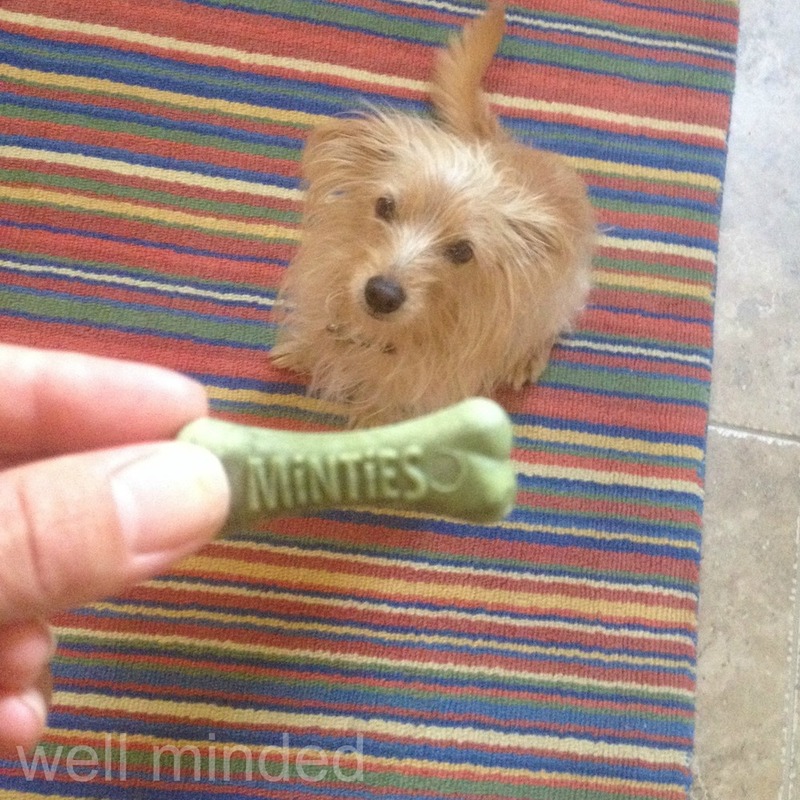 We'd tried her on other dental chews in the past with no success, so I was pleasantly surprised. Minties help clean teeth, promote fresh breath with natural ingredients, and help control plaque and tartar. They are wheat free, gluten free, soy free, corn free, and are free of artificial flavors and animal by-products. It's especially important for senior dogs to maintain good dental health, and since N.A.S.H.A. is ten, now, that is important to us. "You mean I get more? Guinea pigs have it made!" Check out the Minties web site for more information. Since N.A.S.H.A. 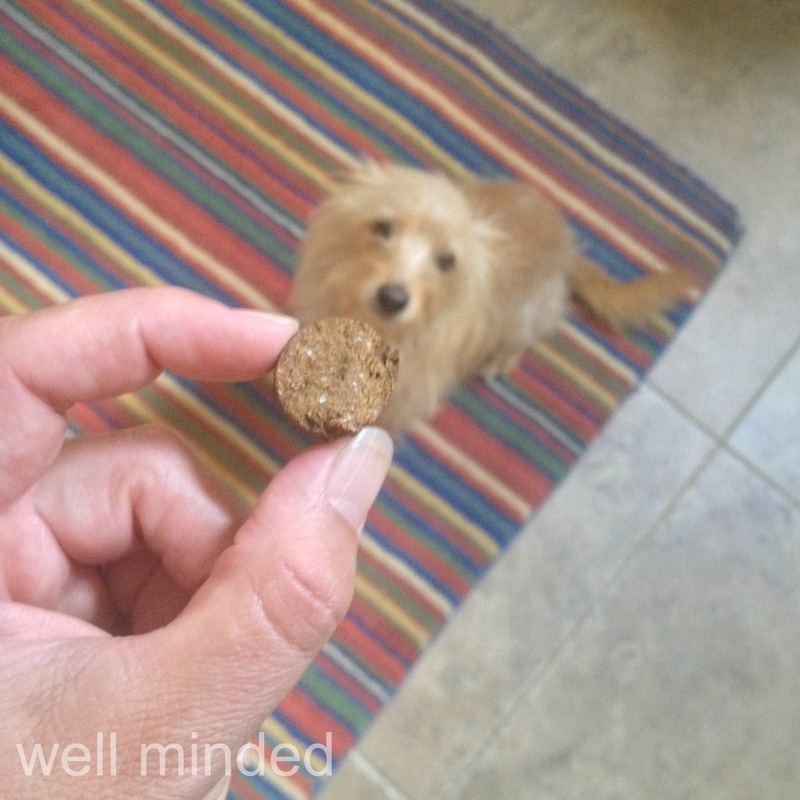 enjoys these treats so much, we'll make them part of our regular healthy treat lineup. Follow VetIQ on Twitter. Follow Minties on Twitter. For more information about these and other healthy VetIQ products, visit the VetIQ web site. Sometimes "professional" and "pet" are a dichotomy in my mind. I am a "professional pet sitter," but what does that mean in terms of relating to my clients? The day-in and day-out of pet sitting is mostly mushy-gushy. I love my clients' pets nearly as much as they do (most of them–wink, wink), so it sometimes just seems like a free-for-all love fest. But the professional aspect is also important. So, as a professional pet sitter, I get to play both sides simultaneously. Sometimes being a professional means I need to make sure to send a confirmation in a timely manner or be sure to give an injection in just the right way to a diabetic cat. Other times, it means rolling around on the floor wrestling a puppy or sitting quietly with a senior pooch in declining health. It's all part of my profession, and I love the variety it brings. Though I'm all about the pets, and they are my top priority, I make sure I take care of their parents, my human clients. Often, I only see them once, at the initial consultation. In fact, I have ten-year-old relationships with clients I've only been physically in the presence of one time, ten years ago. And yet, they are valuable, solid relationships. We communicate via email, text, and phone, and we relate well. Some relationships are stronger and tighter than others, but they are all special to me. I consider the fact that I can be genuine and true with the humans involved a big part of being a pet professional. Most of my clients understand the bond I share with their pets. Occasionally, one won't, and they'll be some meanie who doesn't pay their bill or treats me like a servant. Though I'm giving myself a high-five for dumping that variety, it breaks my heart because by breaking up with a human, I'm breaking up with their pets, whom I've inevitably bonded with. Thankfully, I can count on one hand how many of those I've had. As you may know, a few months ago, one of my longest-standing pooch clients passed away. It was a big deal for my whole family. Not only did I have a close bond with this dog, my kids (jr. pet sitters) did, too. The family kept me posted during their dog's final days, which meant so very much to me. It meant the world to me that a new client read about our loss and took the time and effort to purchase special books for us. I wrote about the experience, and a couple of days later, one of my brand-newish regular clients told me she read about our loss and gave her condolences. And then she went above and beyond. She gave my jr. pet sitters and I four lovely books about losing a pet. Like, she actually went to the store with us in mind and purchased these amazing stories for us to share together. In the infancy of our relationship, this blew me away. I fought back the tears and thanked her, but didn't know what else to say. She felt a close enough bond to us to extend herself personally and provide us with an intimate gesture that will be forever remembered. Though my professional pet sitting business exists so that I can make money for my family, it is so much more than that. It is something I am passionate about. I am passionate about the pets in my care. I treat all of them as if they were my own. I often say that being a pet sitter saves me from having a zoo of my own. If I didn't have clients who shared their pets with me, I'd bring home every stray anything, and you'd see me on that show where they out crazy people who hoard animals. Being a pet sitter is kind-of like having pet adoption birth control. I get my fix elsewhere. Monetary tips are great. I'll take them with appreciation. But what's even more valuable to me are the texts and calls and email messages saying "Thanks for taking such great care of Fido. We don't know what we'd do without you," or "Wow. Bonkers seemed so calm and secure when we got home. You're a miracle worker," or "We're home, now, and really appreciate how comfortable we feel with you being in our home and taking care of our crew." My favorite? "Are you available again next weekend?" It's a business. But it's personal. The two are not mutually exclusive. It's one, big, happy emotional mess-of-a-job, and I can't imagine doing anything else. Do you have a special pet sitter or other professional that you've bonded with on a personal level? Did you know that a large majority of victims of domestic violence hesitate to leave their situation out of concern for their pets? There is a strong link between domestic violence and animal abuse, and offenders of domestic violence typically abuse all members of the household, including pets. Since many shelters do not accept pets, it can be a gut-wrenching decision for victims to leave their pets behind with their abuser. Since the link between animal abuse and domestic violence is so strong, it is likely that a perpetrator of domestic violence will also abuse the animals in the home. According to animal advocacy group RedRover, most animal abuse occurs in the presence of human victims in the home in order to psychologically control or coerce them. Threats against household pets can be powerful in controlling victims and keeping them quiet about the abusive situation. In a violent home, pets may suffer injuries, health problems, permanent disabilities, or may disappear from the home entirely or be killed. • 71% of pet-owning women entering women's shelters reported that their batterer had injured, maimed, killed or threatened family pets for revenge or to psychologically control victims. • 68% of battered women reported violence toward their animals. 87% of these incidents occurred in the presence of the women and 75% in the presence of the children. • 13% of intentional animal abuse cases involve domestic violence. • Between 25% and 40% of battered women are unable to escape abusive situations because they worry about what will happen to their pets should they leave. • For many battered women, pets are sources of comfort, providing strong emotional support: 98% of Americans consider pets to be companions or members of the family. • A child growing up in the U.S. is more likely to have a pet than a live-at-home-father. • Battered women have been known to live in their cars with their pets for as long as four months until an opening was available at a pet-friendly safe house. According to the ASPCA, and other resources, there is a strong link between domestic violence and animal abuse. In fact, a history of pet abuse is one of the top four indicators of risk for being a perpetrator of domestic violence. Those who abuse animals are typically more dangerous, violent and controlling than those who do not. Since so many women (though men can also be victims of domestic violence, it is most often women and children who are at risk) delay leaving an abusive situation out of concern for the pets in the household, it is vitally important that we provide resources for families with pets. In addition, the ASPCA cites other shocking facts about animal abuse and domestic violence. Children exposed to domestic violence are three times more likely to be cruel to animals, which seems to perpetuate the cycle of abuse. Interestingly, the Chicago Police Department found that 30% of people arrested for animal abuse had domestic violence charges already on record. why do abusers batter animals? What got me thinking about all of this? I was listening to The Mathew Blades Morning Show here in Phoenix the other day, and I heard him talking about his support of the Sojourner Center. He announced that he will be the emcee of their upcoming 14th Annual Hope Luncheon on October 29th. Blades spoke about how the Sojourner Center supports women with pets by allowing them to stay together. The victims of domestic violence can bring their pets with them to the shelter, which can provide safety for the pets and comfort and peace of mind to the women and children seeking refuge from their abusive situation. You can attend the luncheon, volunteer with the Sojourner Center or donate to the organization. If you or someone you know is a victim of domestic violence, please seek help. As most of you know, our family has been dealing with quite a bit of pet death lately. Some special clients have left us, and we've been working through that. My Junior Pet Sitters Porter (8) and Campbell (6), are hit especially hard when our animal friends depart. We lost another pet this week. This one was ours. Plantie, Porter's beta fish, is no longer with us. Porter named Plantie, "Plantie," because from day one, he loved to hang out in his aquatic plastic plant. And being a boy of four, the name just made sense. So "Plantie" it was. Though Plantie explored his tank, he would always come back to his plant. Like Porter had "Super" (short for "Super Blankie"), Plantie had his plant for security. A few months ago, I started noticing Plantie not looking so perky, He would rest more often in his plant, and he started to look a bit "askew." I Googled "life expectancy of a beta fish" and learned that the big 0-2 was average. Plantie was four-and-a-half. I let Porter know that Plantie had more-than-doubled his life expectancy and that he wasn't looking his best, so to be prepared. Sensitive Porter had a breakdown and obsessively observed his fish when he was home and then obsessively asked me about his fish on the way home from school each day. I felt like it was too much turmoil for him, so I publicly squelched my concerns and told him not to worry...Plantie was just getting old but doing okay. "Old folks move slower," I said. "You know how you see older people with a cane, or they just walk really slow? They are still enjoying life, but just at a slower pace. That's where Plantie is in his life." It seemed to soothe him a bit and diminish his obsession, but he'd still check in several times a day. Over the past several weeks, I've watched Plantie slowly deteriorate. He progressed to the point where he'd basically lay around all day in the corner of his tank, just breathing, but he'd still perk up each morning at feeding time, wiggling around in excitement, migrating with effort up to the tallest leaves of his plant in anticipation. He loved breakfast. As the days went by, it seemed to me as if his lower body was paralyzed and his head was controlling all movement. Yet he still got excited when I'd approach his tank, so we proceeded. The other morning, as I approached, I didn't see him wiggling to get to his plant, and I knew. I had to look all over to find him, and discovered Plantie was not living up to his name, but was, instead, laying on the bottom of the tank not breathing. I broke the news to Porter, and he was as crushed as expected. He knew in his head that Plantie had lived a fuller-than-full life, but it still stung. The permanent news is a bit like an electric shock. I pulled the fish out with a net so Porter could confirm him deceased and take a good last look and say goodbye. Porter wanted to do the honors, himself, so we all gathered in the bathroom and supported him as he placed Plantie into the toilet and pushed the handle. He asked to keep Plantie's plant. We let his teachers know since Porter was quite down and distracted. The news must have spread to his friends, as he came home with pictures and notes of sympathy. It really touched my heart that his peers would be so thoughtful and sympathetic. R.I.P. Plantie. You were a good fish and lived up to your name each day until your last. We will miss you. Plantie a few weeks before he passed. can toxic mold affect my pets? 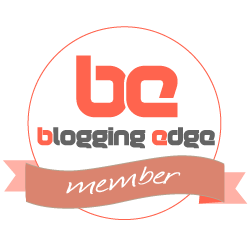 As you may know, I contribute regularly to a natural wellness blog, Hybrid Rasta Mama, where I talk about natural pet health. The blog's author, Jennifer, and her family have been going through hell as a result of discovering toxic mold in their home. They learned that their persistent health problems were almost all caused by mold present in their walls. They moved from California to Arizona, and I had the opportunity to spend time with them and learn about their situation, which is nothing short of hellish. Not only did they have to abandon their home, but they had to get rid of all possessions. They are on a long, hard road to physical and emotional recovery. Naturally, the health and well-being of their pets has been a chief concern. Just a few years ago, it was thought that toxic mold did not have an affect on pets, but we now know that it does. Toxic mold can cause terrible health problems for animals in the household, even more so that for humans, depending on the specific case. Jennifer's family includes multiple cats and a rabbit who are now all safely out of the home and on the road to recovery. They got lucky. It was a 2007 press release from the American Veterinary Medical Association that really brought the effect of toxic mold on pets to light. Douglas Mader, a Florida veterinarian, was performing a dental procedure on two sibling cats. Soon after beginning the procedure, he noticed frothy blood in the anesthesia tubes. Alarmed, he stopped the procedure. Sadly, the cats both passed away within two days, and blood samples indicated that there was black mold in their lung capillaries. A hemorrhage exacerbated by the procedure was the cause of death. The cats showed no prior symptoms, and the family only discovered after the cats' blood test that there was mold in their home. It's easy to see why these symptoms were often assigned causes other than toxic mold exposure. They are common to a wide array of health problems that can affect our pets. The severity of the symptoms depends on a number of factors, including the severity of the mold issue and the type, size, and general health of the pet. Sometimes symptoms are so mild that they go unnoticed, and sometimes they lead to death even before the source of the problem is discovered. why is toxic mold so dangerous to my pet? Respiratory problems are the most common health issues pets develop as a result of toxic mold exposure. They are also the most concerning. When mold is inhaled by your pet, capillaries in the lungs are weakened by the mold spores. Over time, the capillaries can rupture and hemorrhage. If left untreated, this condition will eventually lead to death. These issues typically progress faster in animals than in humans due to their smaller size. If you've been following Jennifer's "molaggedon," you already know that toxic mold exposure is no joke. It's better to be safe than sorry. If you suspect your pet has been exposed to toxic mold, take all pets in the household to the veterinarian as soon as possible, even if they are not exhibiting symptoms. It is common in multi-pet households that one pet will display symptoms before the others. Typically smaller animals are more quickly and severely affected. If the veterinarian determines that your pet is suffering as a result of toxic mold exposure, do not bring your pets back to your home where the mold exists. You may need to board them or find a family member or friend who is willing to take them in while you eliminate the mold problem, a lengthy process. The veterinarian may prescribe medications to help your pet's symptoms and may also suggest that your pet take an antibiotic to prevent or treat a secondary condition that may occur as a result of your pet's weakened system. If your pet will be temporarily staying in a home where there are other pets, it is important to verify with your veterinarian that all of the pet's symptoms are attributed to toxic mold exposure and not another underlying condition. While health issues from mold exposure are NOT contagious, other conditions with the same symptoms may be. In order to protect all of the animals in the house your pet will be staying, make sure the animal is in good health, otherwise. If you suspect your pet has been exposed to toxic mold, don't hesitate to seek veterinary assistance. You may safe your pet's life, and your own. 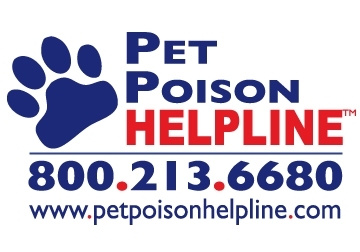 Are you a pet parent who has dealt with toxic mold? Please share your story. This article, written by me, originally appeared on Hybrid Rasta Mama and has been reposted here with minor changes with permission.